The wife and I went ammo shopping sat. While I was looking at the ammo I heard her ask the owner, how much for the golden boy. Then I heard I’ll take it. She wants one more so each grandson will get one. She paid out then asked me if I saw one I wanted, I said I’d like the Marlin mod 95. 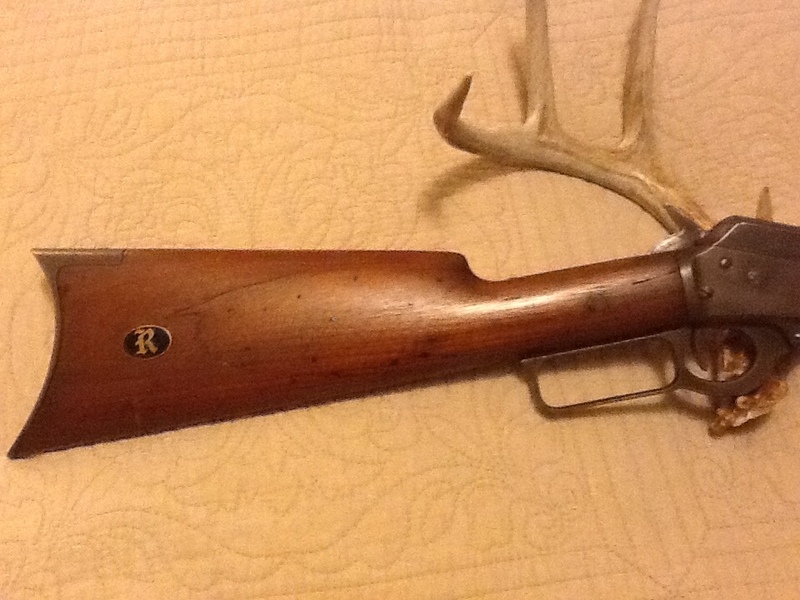 It’s a 32-20 made in 1898. I think this one and my colt army special 32-20 will make me a really good pair. Now it’s time to go have fun with it! Wow, what a nice wife. 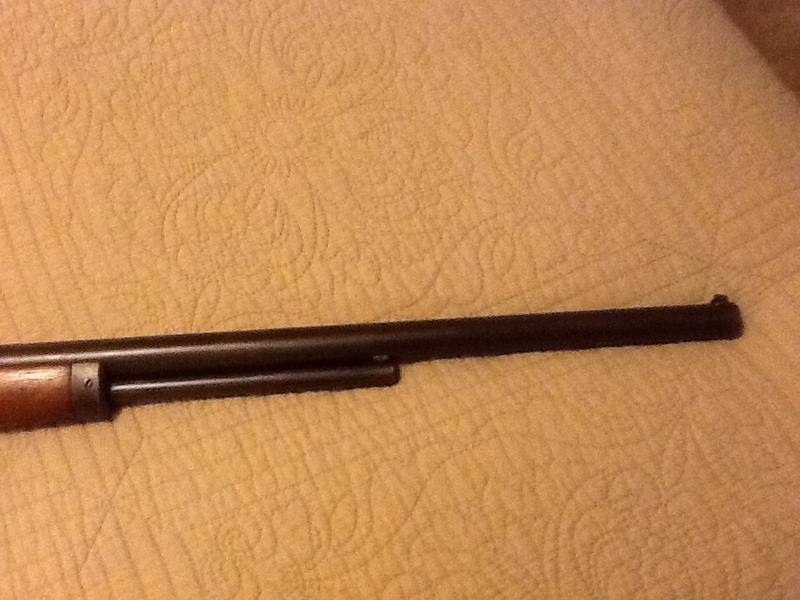 I love Marlin lever actions, mainly because my dad gave me a golden 39M Mountie for Christmas in 1975. 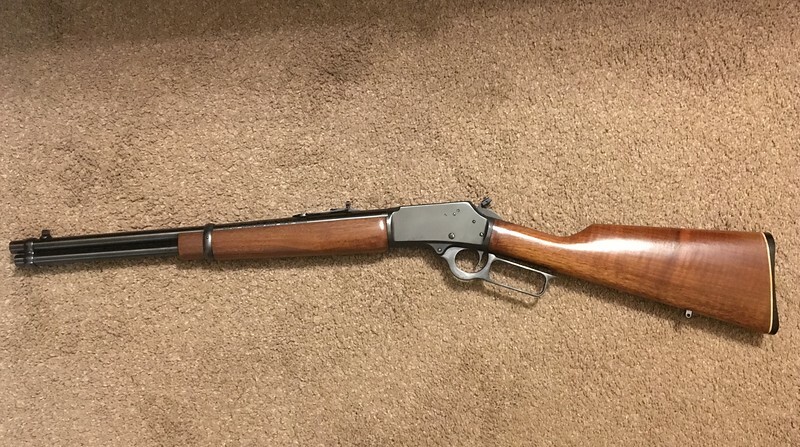 I bought a 1981 1894C in .357 to match it a few months ago and absolutely love that rifle. 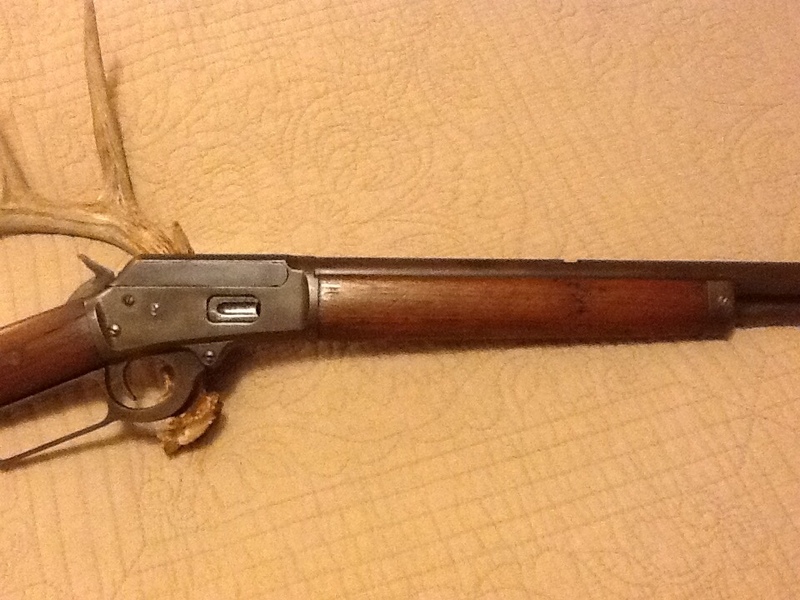 To me a lever gun is to rifles as a revolver is to pistols…back to basics!. 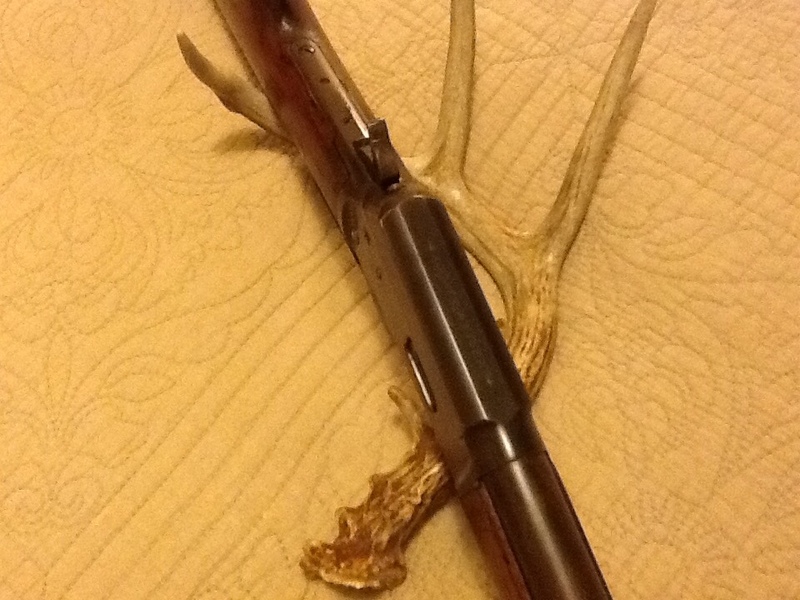 I had a Marlin 39A that put lots of squirrels on the table in the 1960s. I’d load it up with 22 shorts for walking a trapline and one day I kicked up a cottontail and fired from the hip. One shot just like Lucas McCain and we had bunny for dinner for a change. I have been reading up on .360 Dan Wesson cartridges and I see that some of the .357 long-gunners are using .360s for a little more oomph. Supposedly they chamber in the long guns fine…but I don’t personally know that. Maybe those long guns are 357 maximum? She’s a keeper. the gun too! 6/19/73 All Serial numbers beginning with 25,000 are stamped on right hand side of frame.